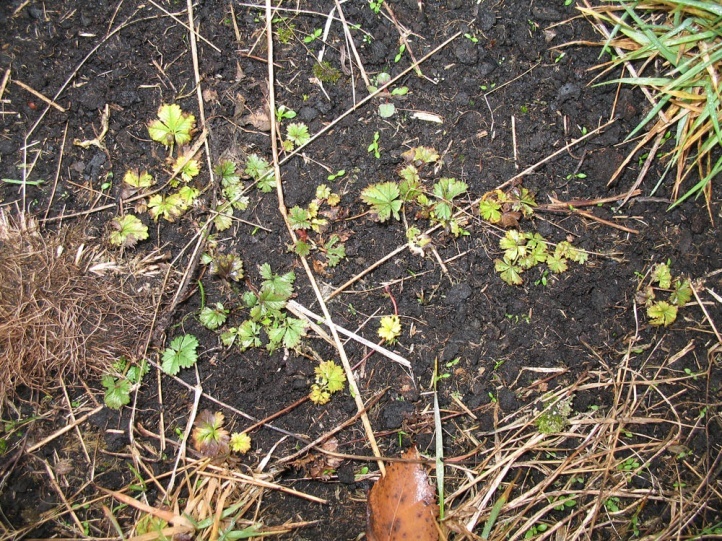 In the first place Potentilla species like Potentilla erecta, Potentilla reptans (for example, in the Swabian Donaumoos in Southern Germany or in Northern Greece (Olympus), Potentilla verna (for example, in the Saarland or calcareous grasslands near Munich), Potentilla pusilla (e.g. 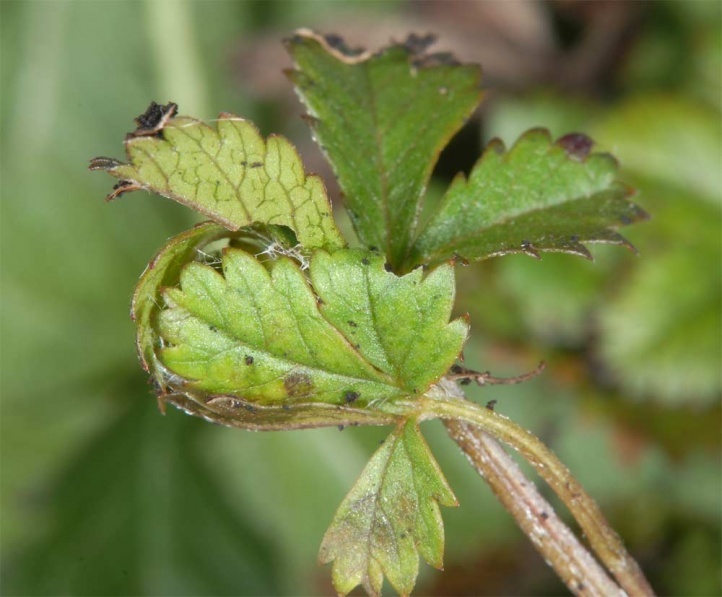 in the Italian Valle di Susa, Piedmont) and Potentilla recta (Greece). 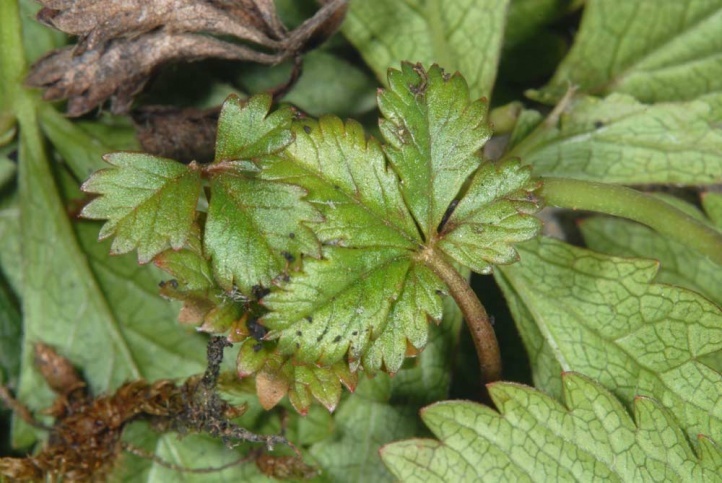 Seldom also other herbaceous Rosaceae. 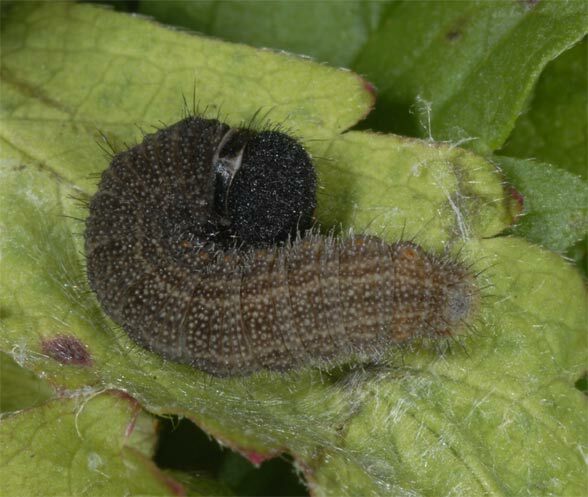 According to literature also Helianthemum nummularium that is accepted by caterpillars in breeding without any problems. 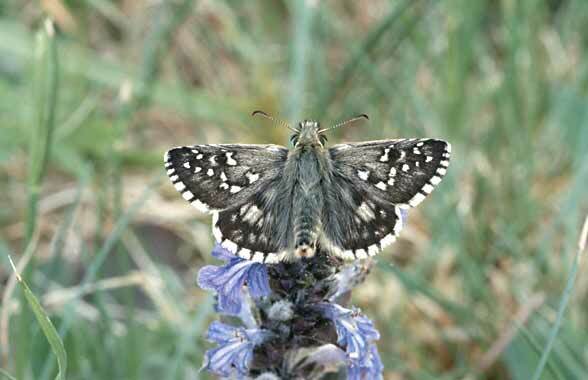 Pyrgus armoricanus requires only very sparsely covered places without a dense higher growing vegetation where Potentilla plants grow on open soil or moss. 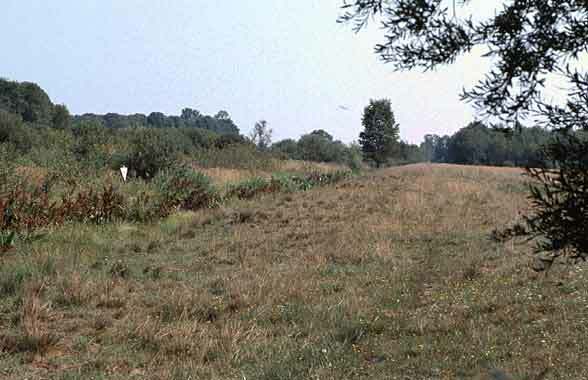 In the more flat Donaumoos (a former fen in S-Germany) oviposition occurs especially on drier, small, south-facing micro-slopes and along trails. 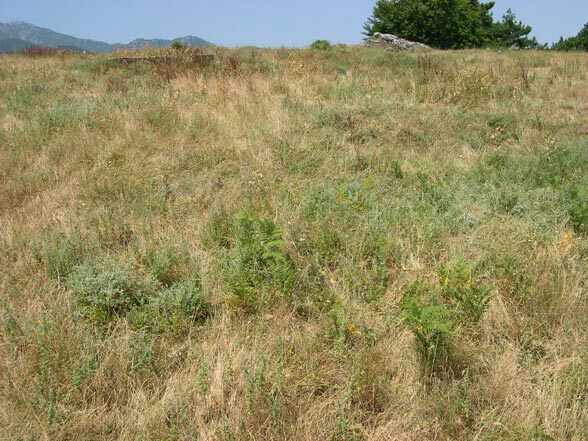 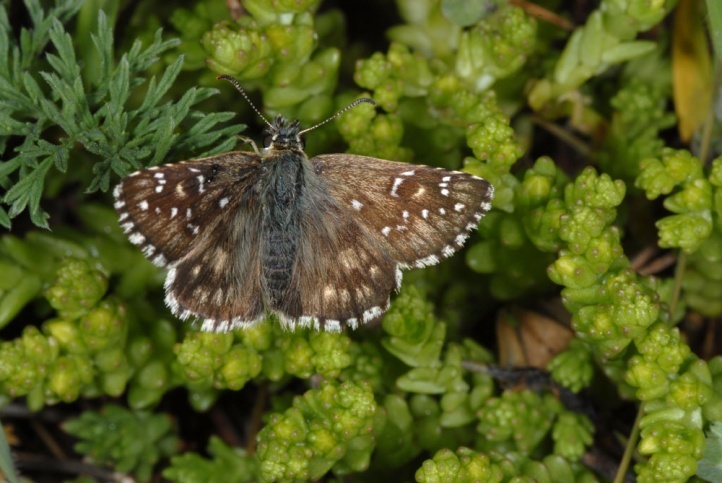 Overall, the butterflies are always found in more nutrient-poor, open land, whether in limestone grasslands or partially acidophilous, dried-up fens. 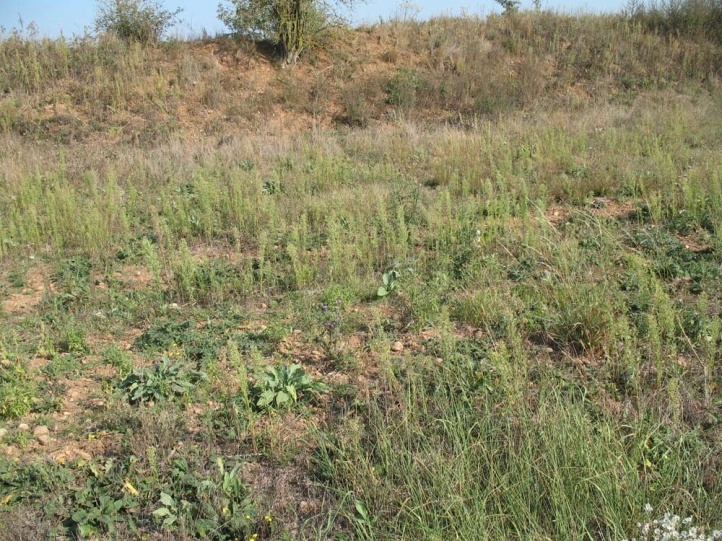 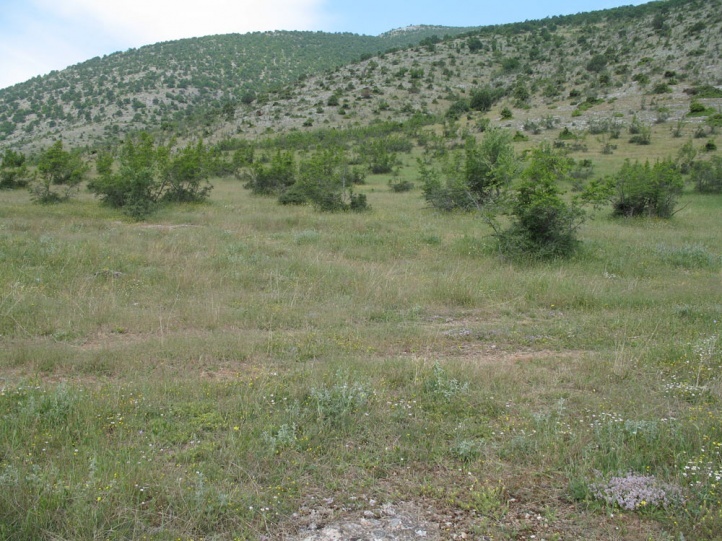 In Central Europe these formations are usually maintained by forms of transhumance grazing, otherwise there would arise gradually higher and denser growing vegetation. 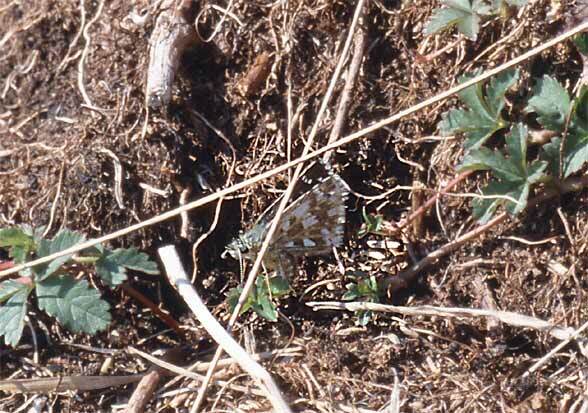 In Southern Europe Pyrgus armoricanus is also often found in damp places, where I observed it for example on Mount Olympus in pastures with spots of water pressure. 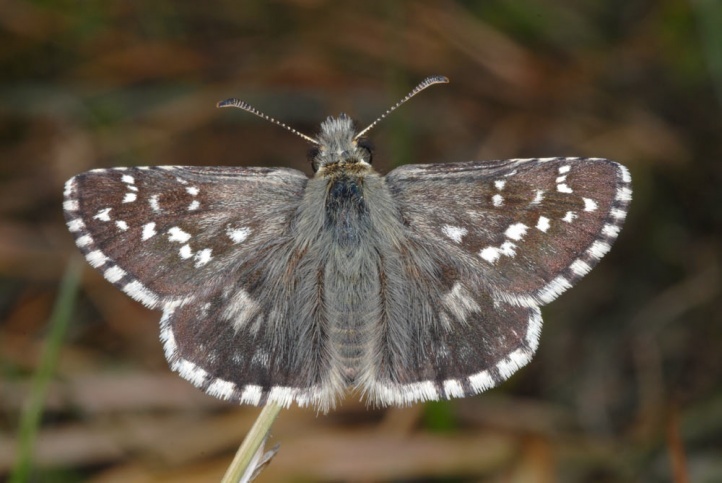 In the south (in the north only in very warm years), the in principal high ecological power of Pyrgus armoricanus becomes more evident. 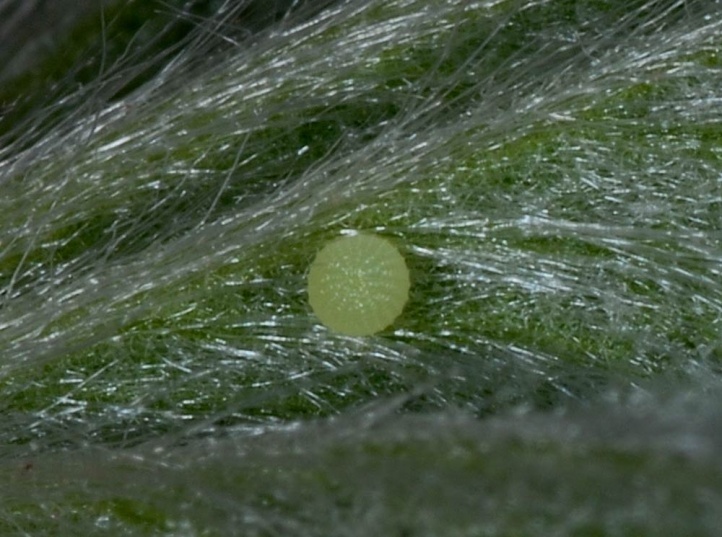 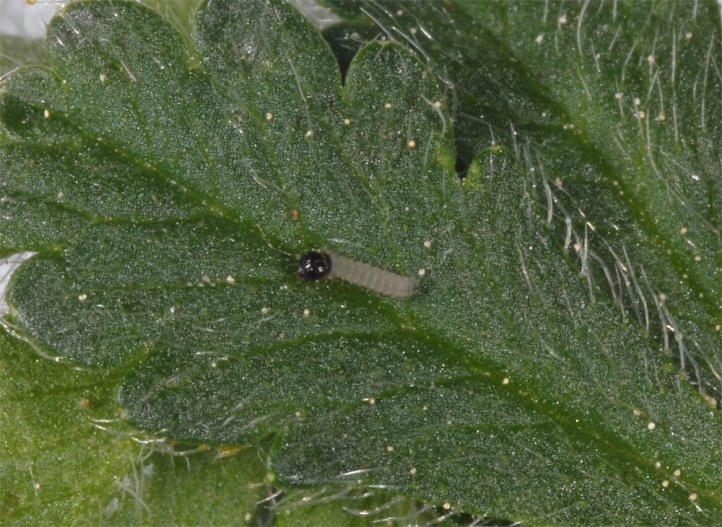 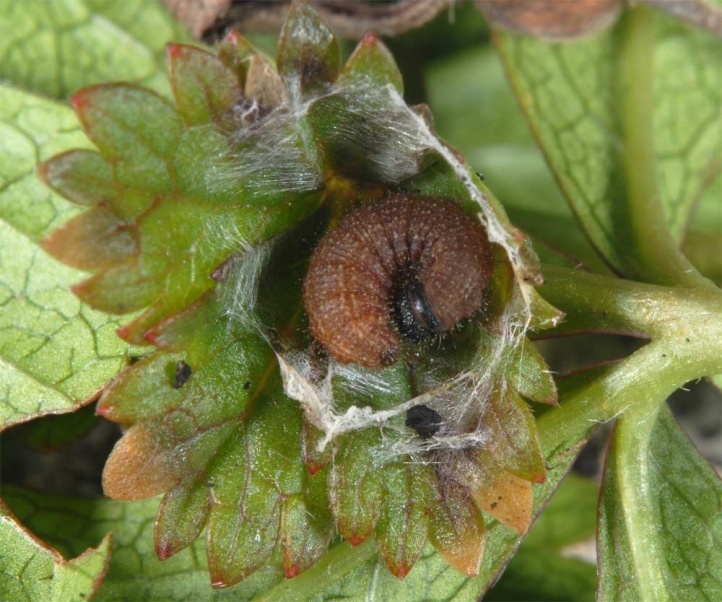 I observed oviposition several times in a parking lot with much Potentilla reptans at the edge of a hotel complex in the coastal area of the Olympic Riviera in Greece. 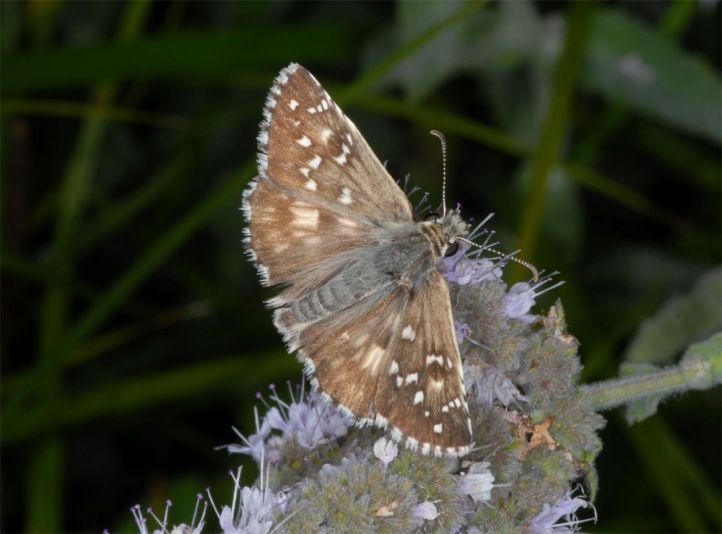 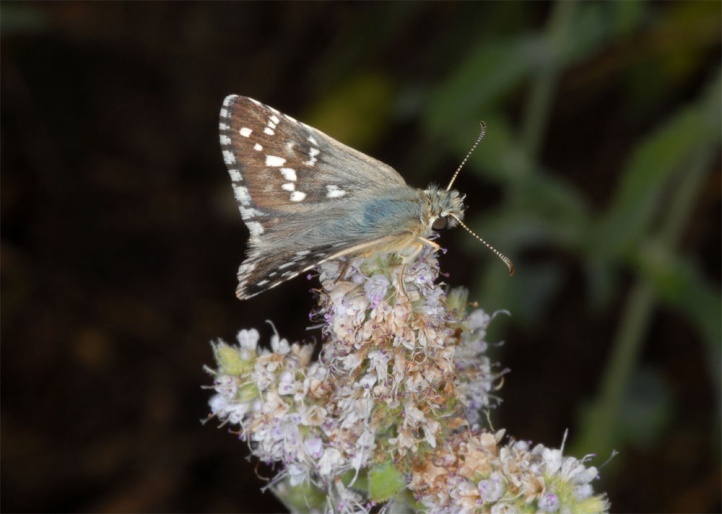 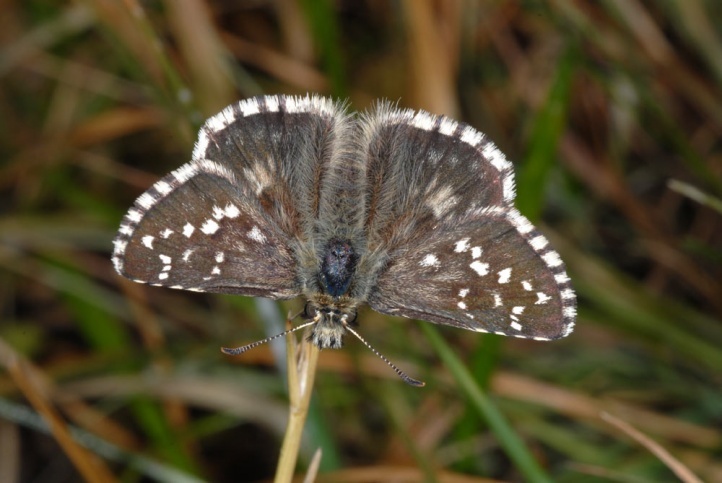 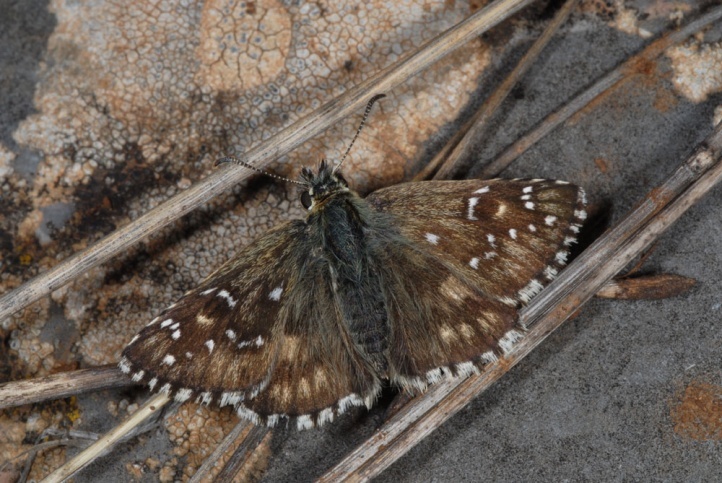 In Central Europe Pyrgus armoricanus has at least two generations per year, in warm years additionally a stronger partial third generation (late April to June, July/August and September/early October). 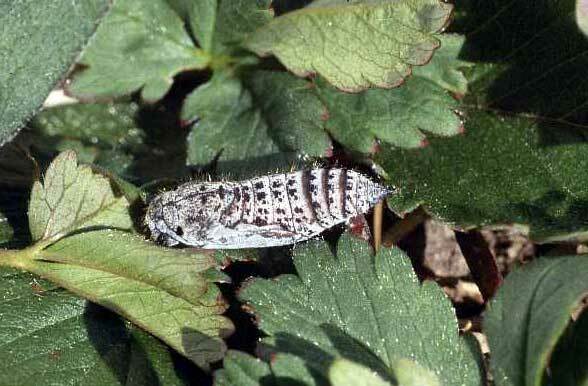 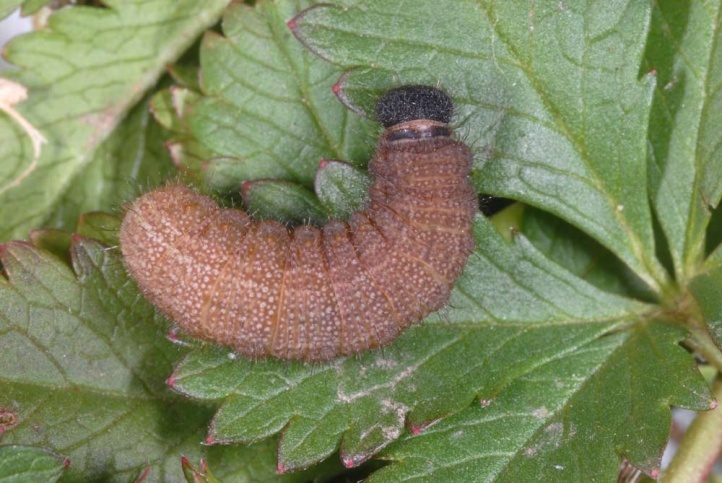 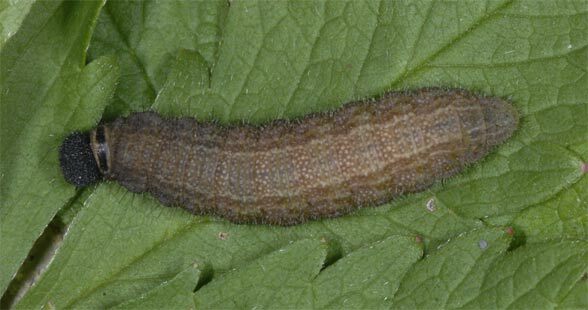 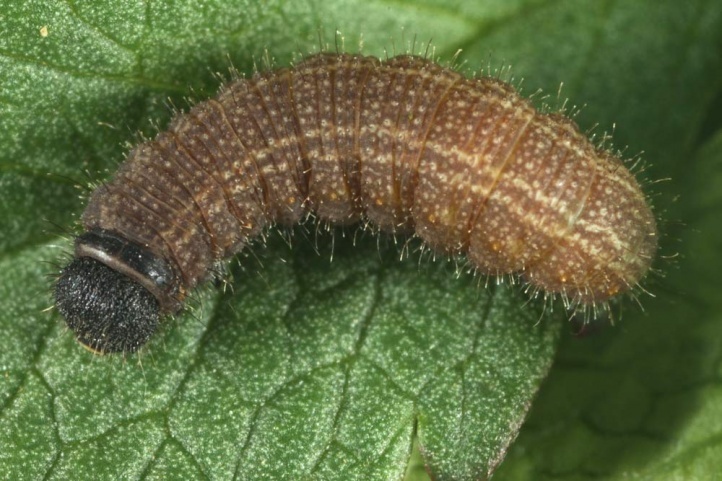 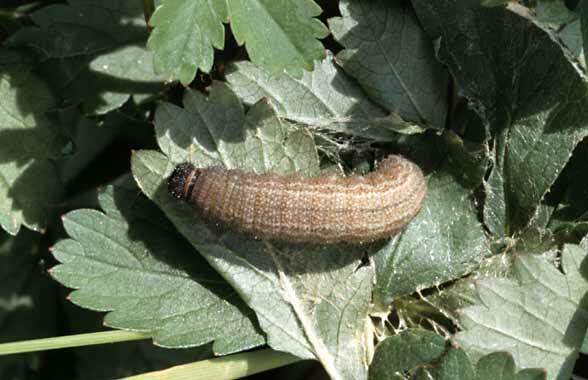 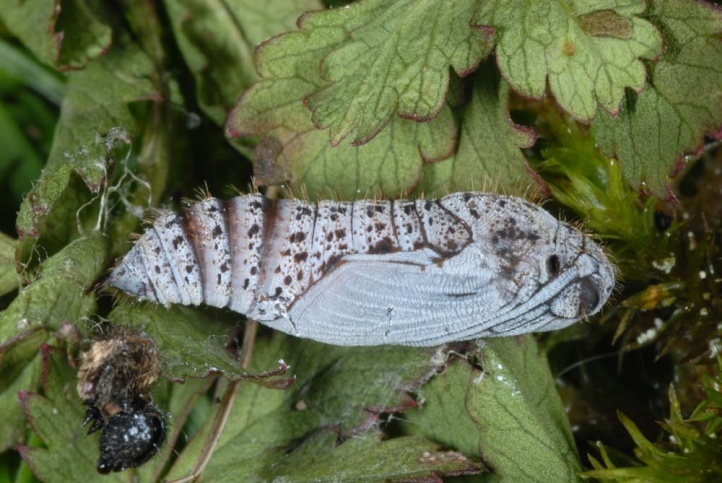 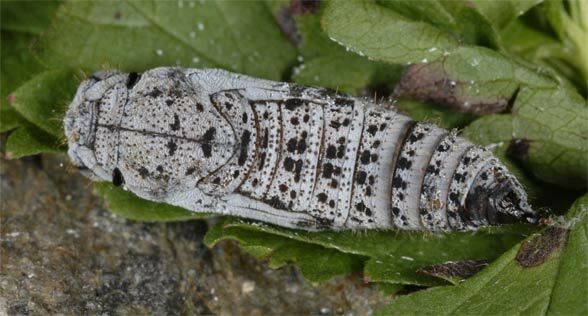 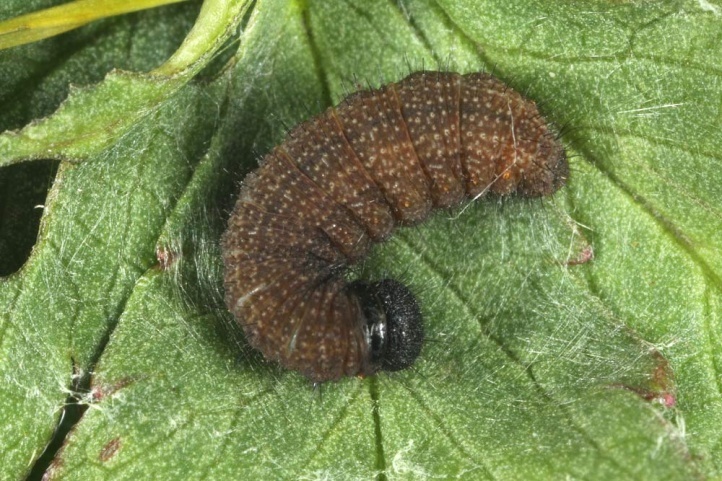 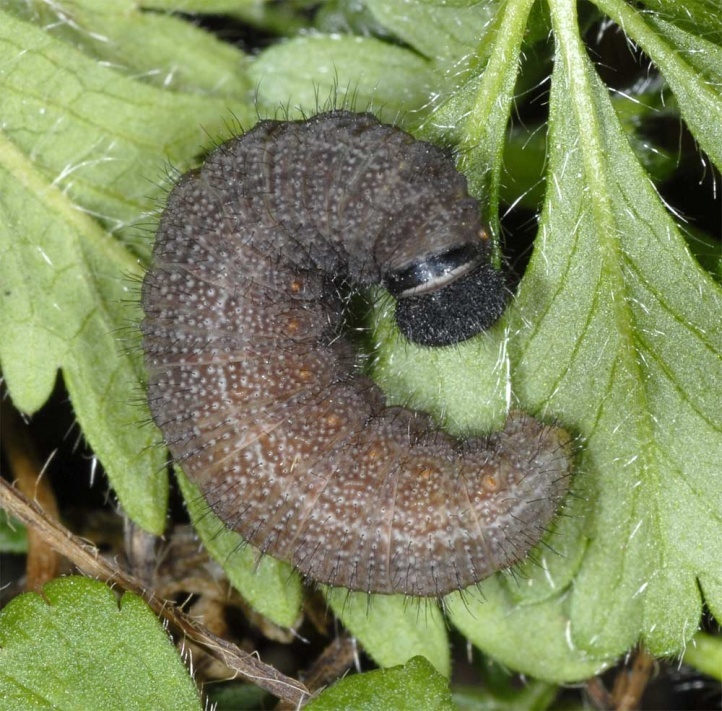 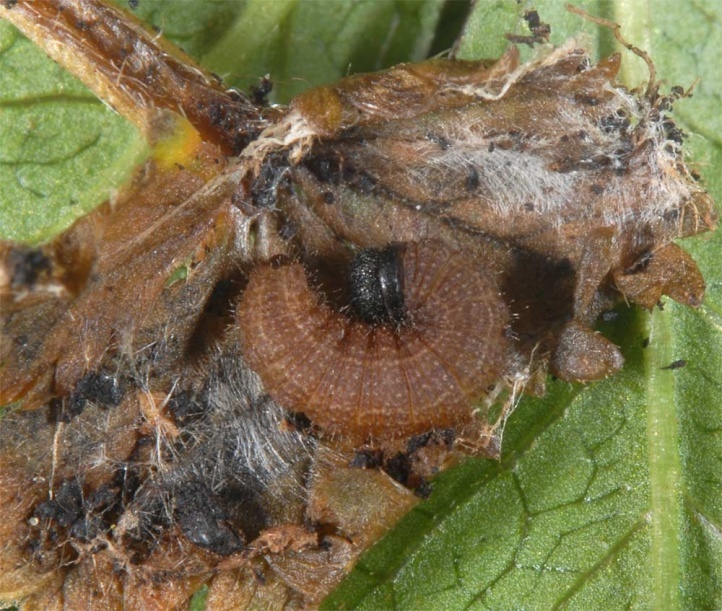 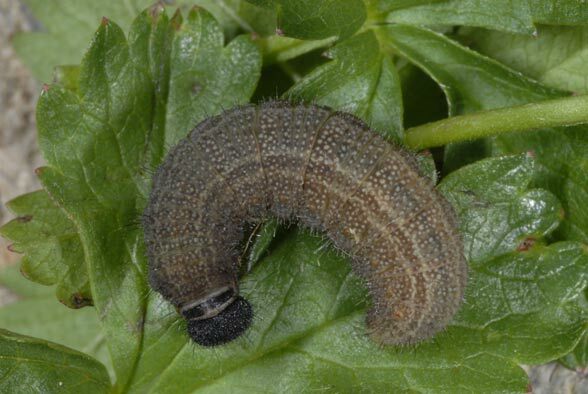 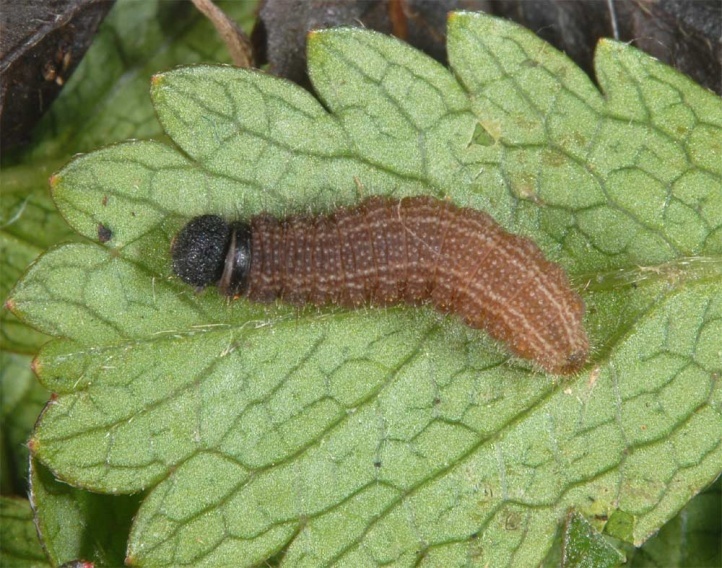 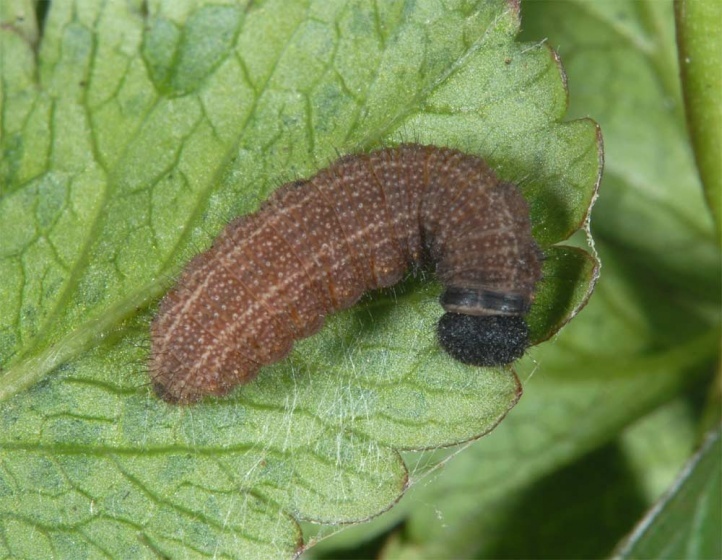 The caterpillars have four moults and develop very quickly under hot conditions. 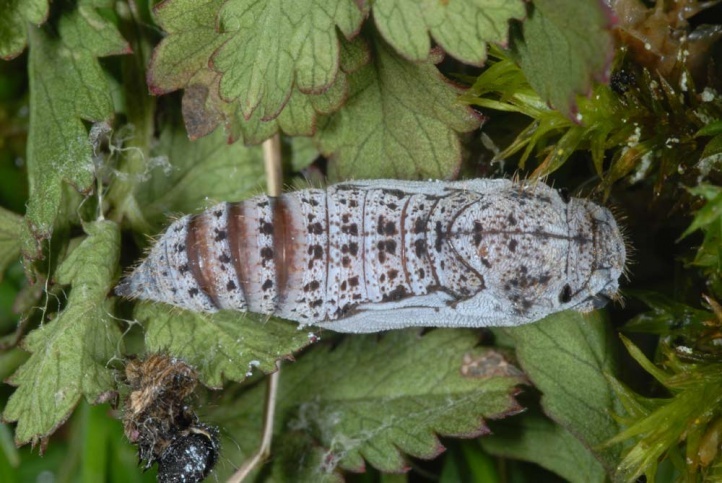 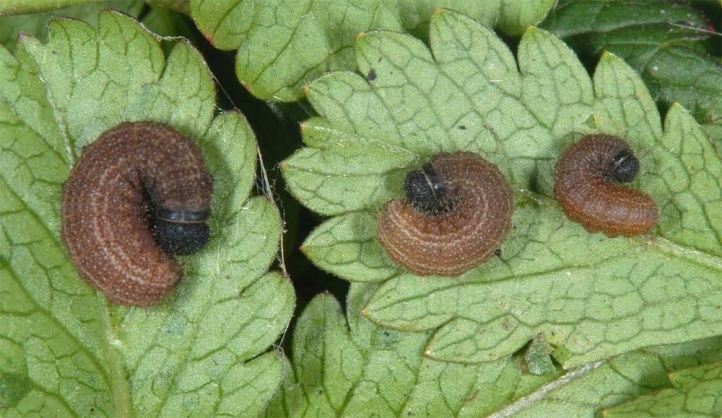 Pyrgus armoricanus overwinters in the larval instars L1 (after late oviposition) to L4 (most common). 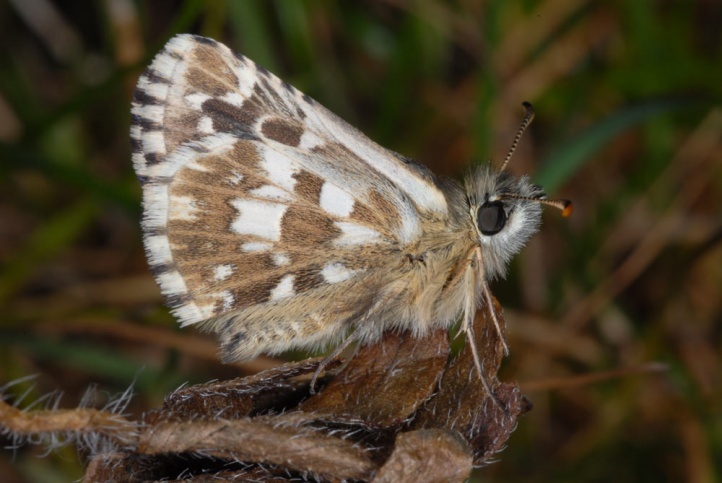 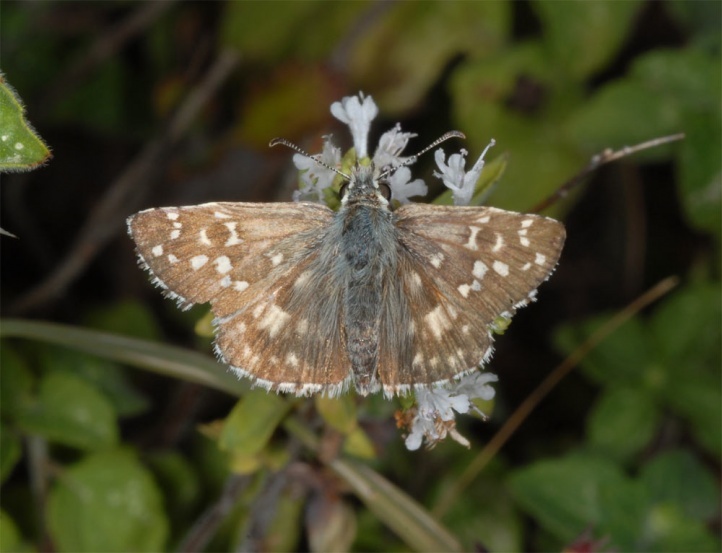 According to the development Pyrgus armoricanus can be assigned to the potentially acyclic species like about Polyommatus icarus or Lycaena phlaeas. 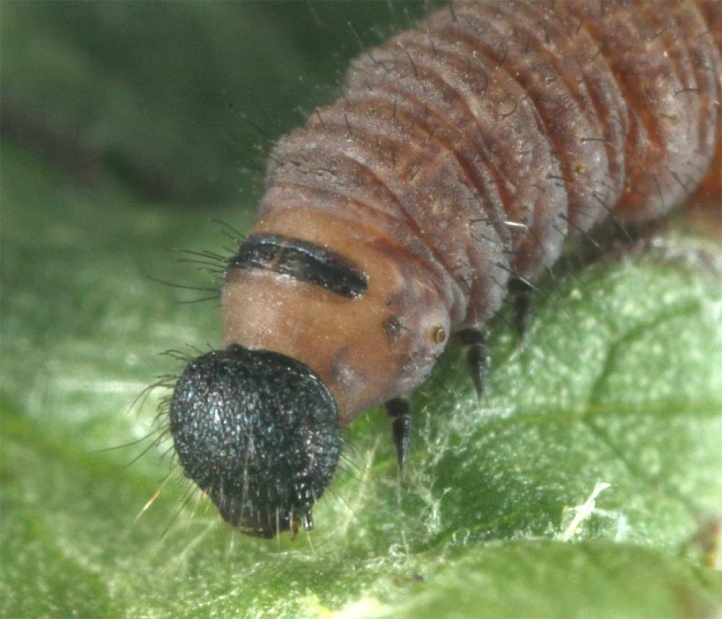 This fast development is the reason for the strong expansion dynamics in exceptional warm years. 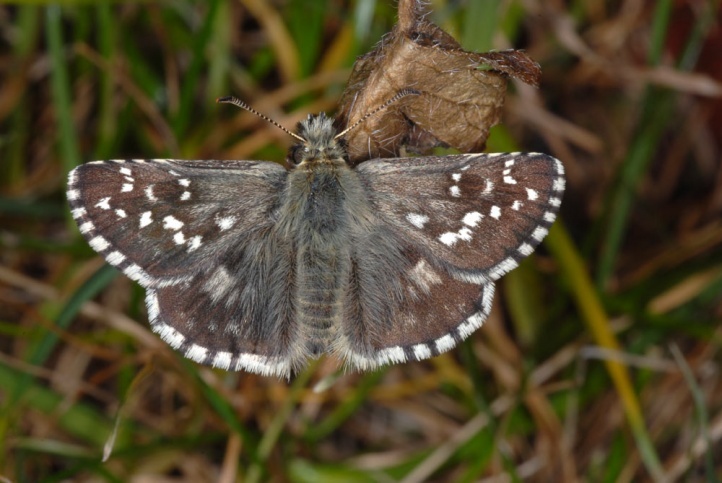 But in most cases the secondary populations break down again in following seasons. 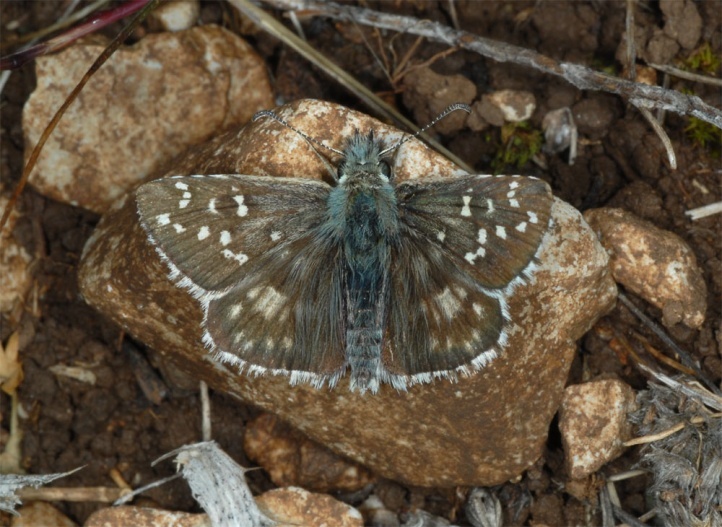 Pyrgus armoricanus is endangered by habitat loss due to eutrophication, abandonment, intensification, overbuilding, fragmentation and more recently even by renaturation in the course of nature conservation measures like rewetting of former marshland and furthermore by isolation of the few remaining stocks. 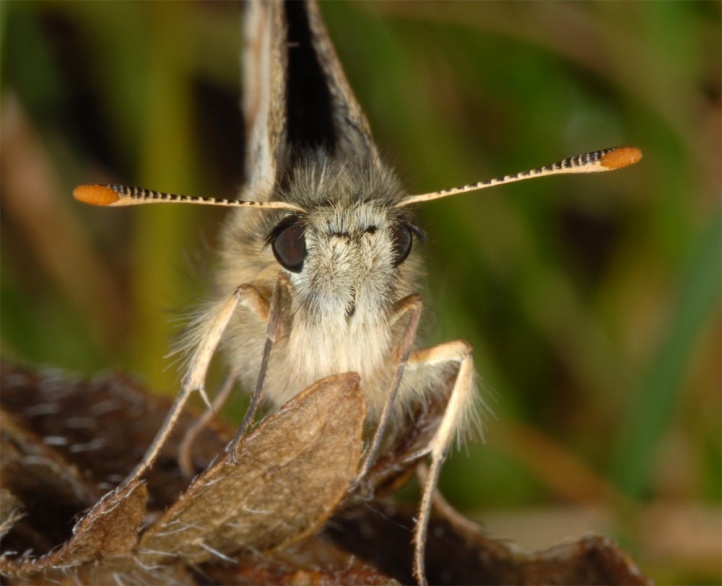 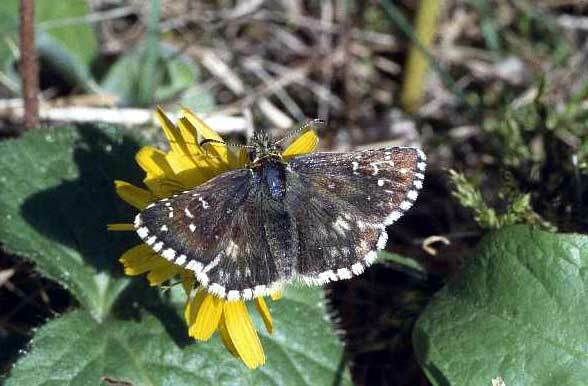 The butterfly locally spreads in warm years, but north of the Alps this is rarely successful for longer periods due to the lack of habitat because of dense human population and intensive use of nearly all areas. 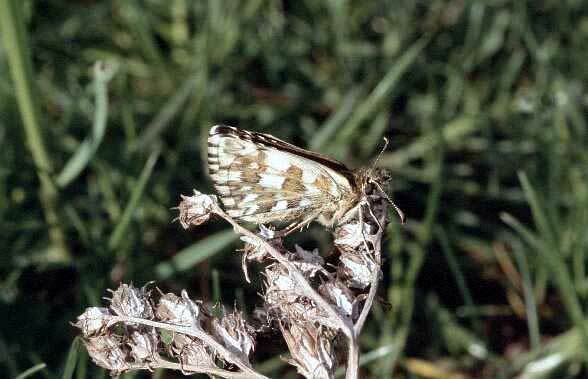 Pyrgus armoricanus benefits thus only regionally from climate change as it is currently the case in the Upper Rhine area, where I observed the butterfly in the Alsace near Hirtzfelden in October 2009. 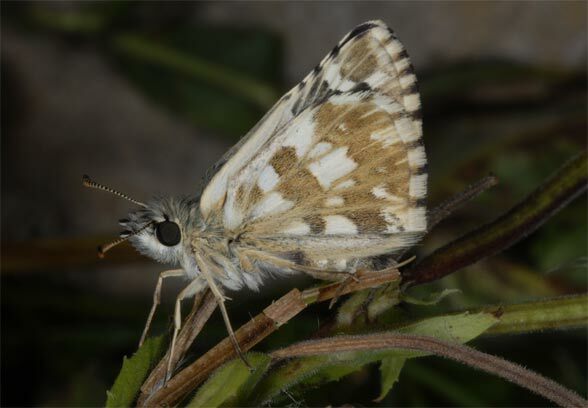 In southern Europe however, Pyrgus armoricanus belongs to the regularly observed Pyrgus species and is e.g. 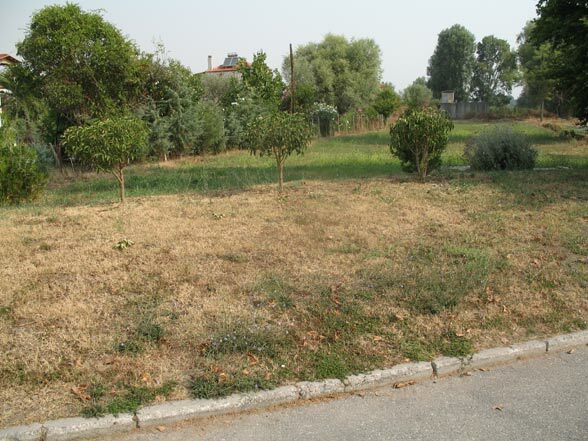 quite common in Northern Greece. 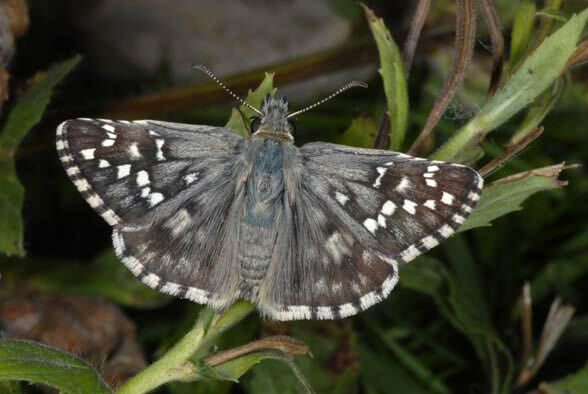 Pyrgus armoricanus is widely distributed in Europe (except the north and northwest) from the southern tip of Sweden to Sicily, but only extremely local north of the Alps due to habitat destruction. 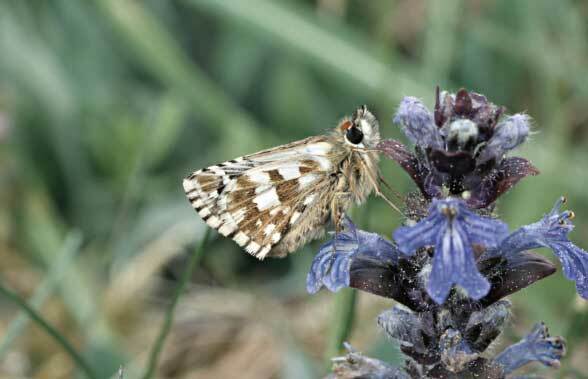 In addition, Pyrgus armoricanus flies in Northwest Africa and Western Asia (Turkey, Iran, etc.). 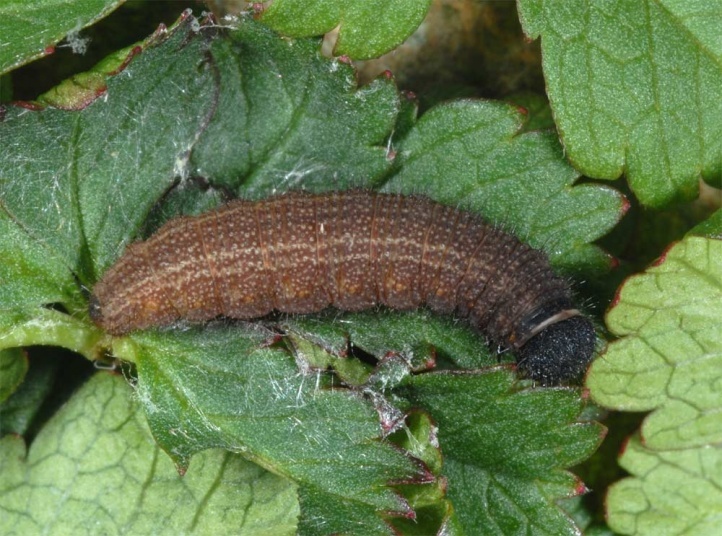 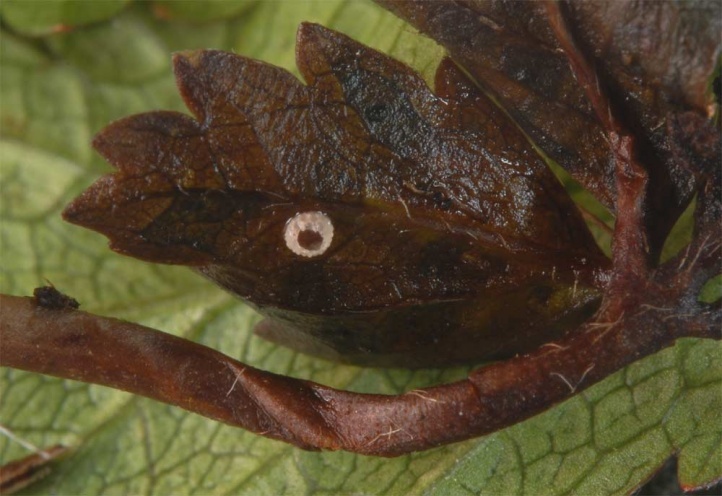 In recent years it has partly spread due to global warming since the polyvoltine species responds to higher temperatures with a significantly higher rate of reproduction. 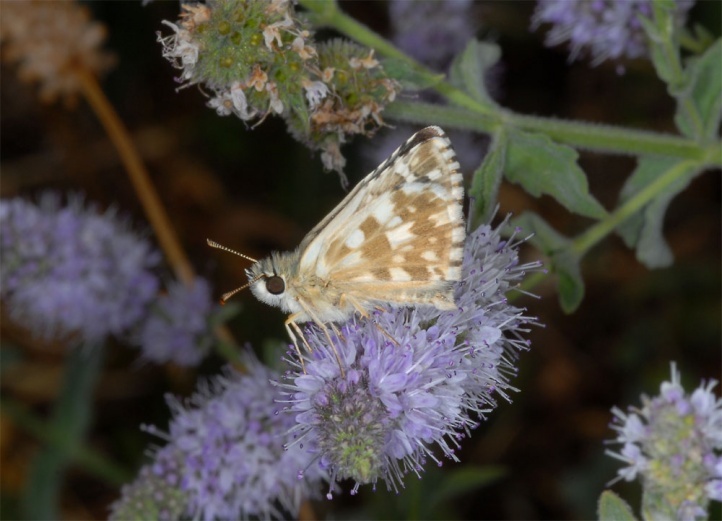 Pyrgus armoricanus can be confused especially with the Pyrgus alveus complex and Pyrgus onopordi. 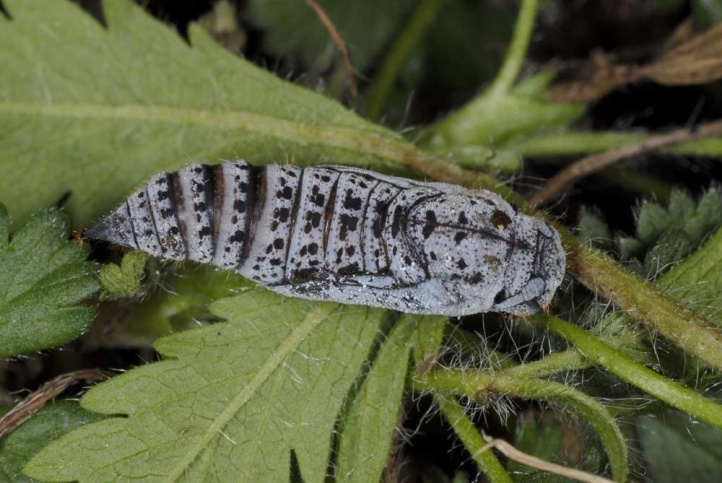 Except for hints from the knowledge of the given habitat and some morphological details, only genital dissection can provide reliable determination.